Depending on both the client's hair type and the desired result, the Kerasilk treatment can be customized to fit everyone's needs. There are 4 different treatment levels to choose from, shown in the images above. 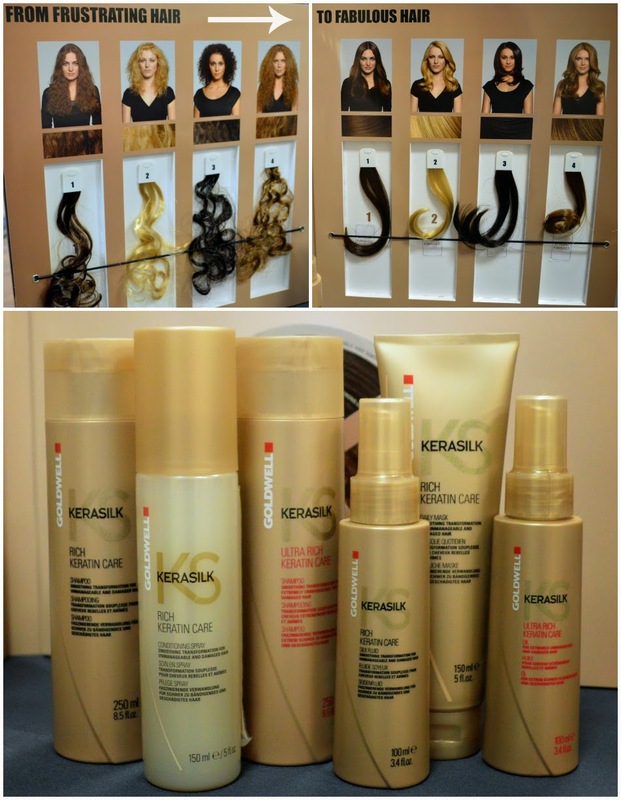 There is also an accompanying product line to enhance and maintain the Keratin treatment effects. The product application, and a real life example of "before" vs. "after"
For around 5 months after the initial treatment, regardless of if you heat style or let it dry naturally, the hair will not frizz up like before. If you straighten your hair before going out, at the end of the night, it'll be just as smooth and straight as it was when you left. I was surprised to hear that the product applied to the hair is glyoxylic acid based. My skin is quite sensitive to these types of acids, which actually wouldn't be a problem since the treatment is not applied directly to the scalp. 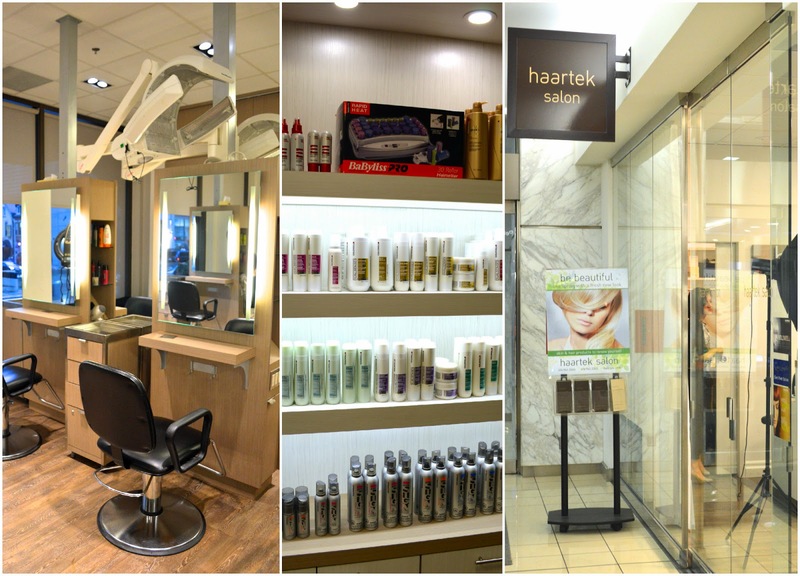 The gorgeous, newly improved salon with its incredible product display and very comfortable interior. 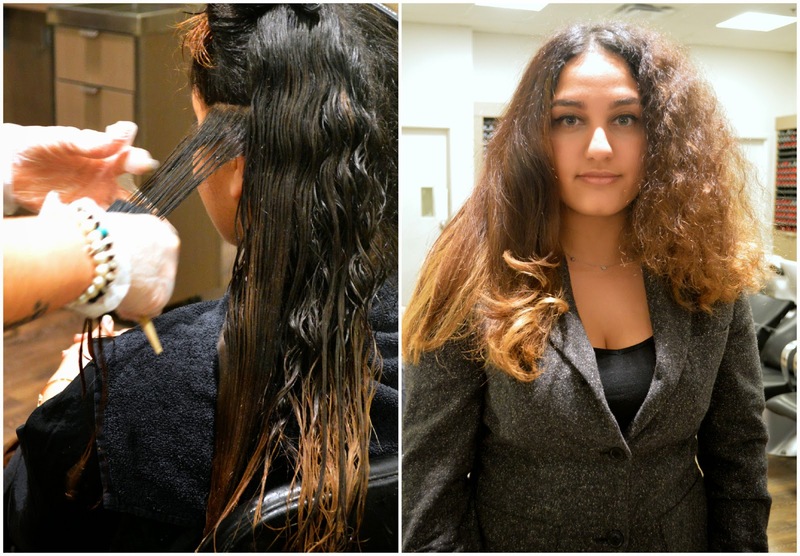 This treatment makes unruly, frizzy hair a lot more manageable. I don't have issues with my hair getting too frizzy, therefore I haven't gotten the treatment done. I do plan on taking one of the lovely ladies in my life to try the service and products, then give an accurate and honest review of their effectiveness. I'm really looking forward to seeing how Kerasilk holds up to the test of time and I'll be sure to let you all know! Although it is an initial investment, the results will both improve your hair's appearance, and decrease your styling time each day. This isn't the equivalent of a relaxing treatment, or as damaging as a perm. Instead, Kerasilk will soften natural waves and smooth out the hair structure overall. Hi Kerasilk keratin treatment is perfect treatment for silky hair. Great post! I got this treatment done recently! So amazing, ladies! I have never seen my hair looking so....PERFECT!!! Bought it online on Ebay: http://www.ebay.com/itm/Goldwell-Kerasilk-Keratin-Treatment-16-9-Oz-/321636771031?ssPageName=STRK:MESE:IT and asked my hairdresser to apply it. Saved tons of money. Will definitely do it again and recommend it to all of my friends. how much was the treatment?